Our 3-in-1 cushion meets all your seating needs. 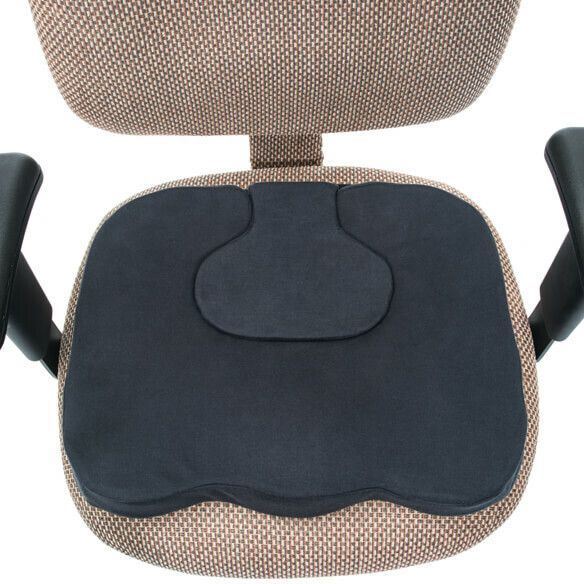 Soft, molded design provides essential support as a coccyx or donut cushion, and you can use it with the removable insert for a full cushion that adds plush comfort to any seat. Perfect for home, car seats and wheelchairs. Hook-and-loop strap for easy portability. 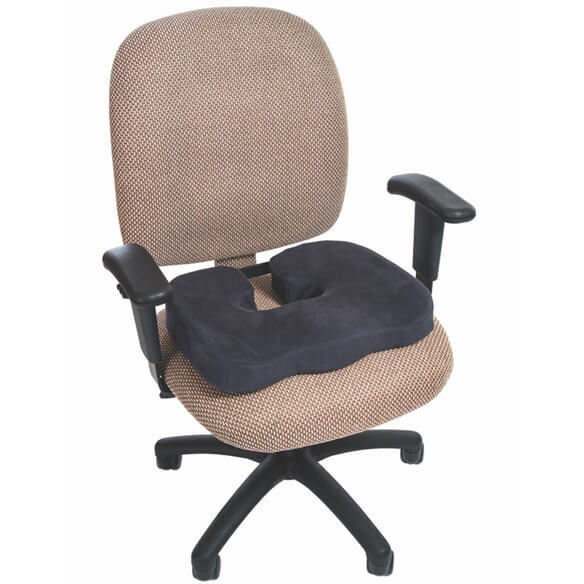 Foam cushion measures 17 1/2"W x 14 1/2"D x 2 1/2"H.
Coccyx cushion opening is 7"W x 8"D.
Poly/cotton cover zips off the polyurethane foam cushion for easy care. Hand wash cover; air dry. For work, I sit at a computer all day, I hope it helps my back tension. My husband often gets a sore behind sitting at his computer.